In this episode, Dave is excited to welcome Audria Richmond. In this show, Dave and Audria debunk the myths about Millennials, because Audria proves that many things you’ve heard about them and their views on work, etc. are just not true. Audria has won numerous awards, been featured in the Huffington Post, Business Insider and other news outlets and recently released her first book, “Are You Ready for the YES?” in January, which is already a best-seller. But, above all of this, there was one thing that really intrigued Dave about having her on the show and that is that she was able to take her brand from local to global in 60 days and create a 6 figure income in her first year in business! Audria started off as a part-time professional photographer in 2008 while also working as flight attendant. She borrowed a camera to start and took some online courses, self-teaching herself how to be a professional. 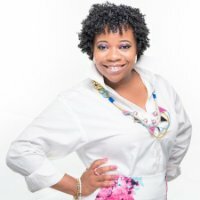 She quit her job in 2009 with no money saved because she knew it would cause her to hustle harder. Her photography business started to grow and she began to outgrow the Memphis market. She then started adding creative services and graphic design. She then created and published a magazine called Love New Art in which she could show her work and the work of others that were not getting the attention they deserved. She then came to a cross-roads. She has done well with her photography and graphic design, but had priced herself really low to get business. She made the decision to become a true professional and charge the rates her work was worth. This didn’t go over well as she had trained clients to be used to “deals” from her. At this point, she had exhausted any money she had and had to take a job again. During this time, she self-educated on online marketing. She got to a point where she was ready to go on her own again and published an online video on branding. Within 2 weeks of putting up the video, she started getting responses from people all over the world. In fact, her first online sale was a lady in Singapore. And then within her first 60 days, she had made $20,000. At the 7 min mark, Audria goes through the steps she took to do go from local to global in 60 days. At the 17 min mark, Audria talks about millennials and how they are mis-understood. She discusses how they utilize technology to succeed. She also talks about how people need to “meet them where they are” and understand the psychology of millennials before making up their mind. Millennials can adapt to change very quick and that is an asset in today's world. Publishing: People like to learn from the best and if you are the best, people should be able to find a “best book” form you. Products and Services: What products can you create to help people based on your focus? Events: Are you producing events and where can people get access to you? Partnerships: Are you good enough for others to endorse you and affiliate with you? What is one thing in each of the 7 phases that people need to do to be successful in that phase? Personal Brand: Get clear on who you are. Speaking: What is your big idea that others are not talking about? Publishing: You need to write something...it’s that simple. A blog, a book, e-book. Something to solidify your expertise. Products and Services: Have something for people to buy. The best place to get started is coaching people. And have a signature framework for how you get something done. Events: Put on event. It can be online with just a few people. When you product an event, it shows you are capable of organizing people. Partnerships: Begin to find people that you would love to collaborate with and are complimentary to your brand. Advice for those just starting online? Create content around your brand for people that you want to attract. Think of it as your resume. Create strategic, relevant content that showcases your brand and message. Google Trends is a great place to find relevant topics to discuss that are hot right now and use your advice with. At the 27 min mark, Audria talks about what is working right now on social media and what is working with live video. Become an insider instead of a reporter. Find the new trend that people are talking about and insert your expertise into it. Make sure that you stay up to date with trends and that you use them to help your audience and provide value. Use Google Alerts. Be ok with being the first. Don’t be afraid to be the trendsetter. Make sure that you stay consistent through it all. Never lose being you and never stop being consistent with your brand.